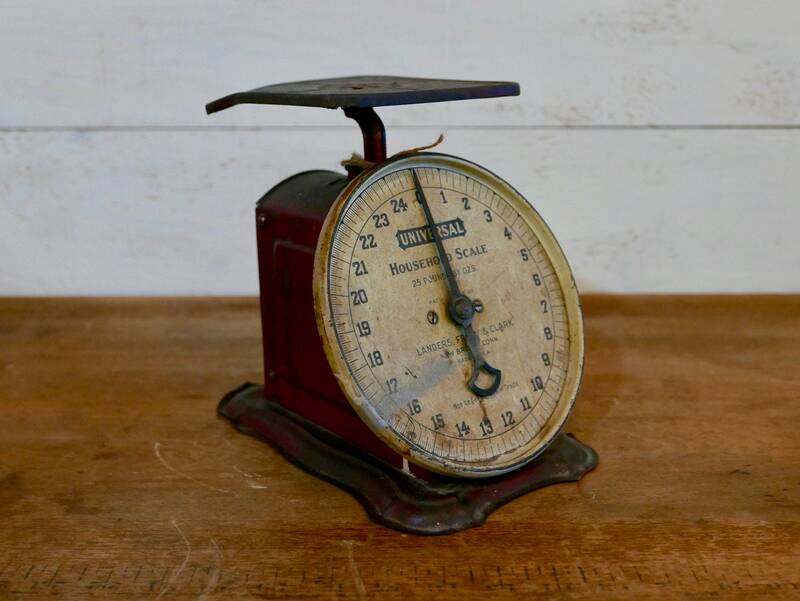 Here is a fantastic antique red kitchen scale with a great patina which would look perfect in any farmhouse or primitive style kitchen, or even in a cool café or restaurant. 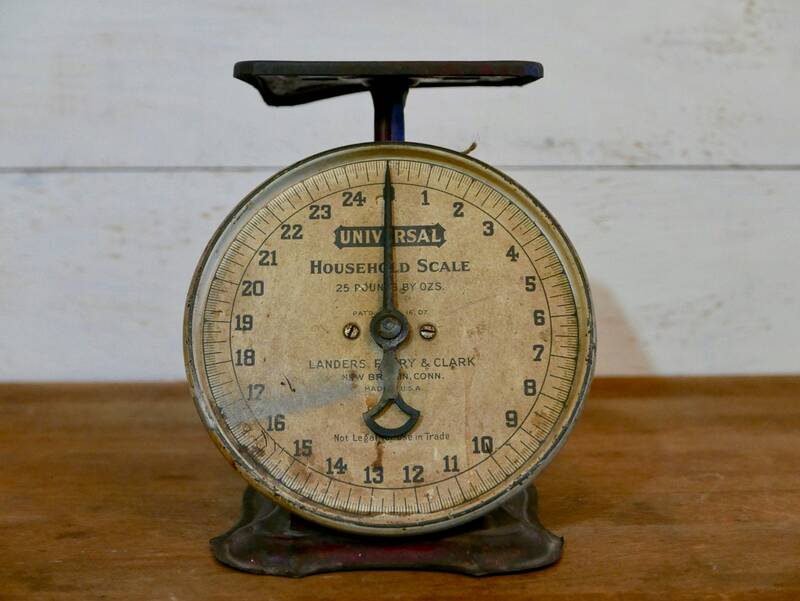 It is a Landers, Frary & Clark Universal Household Scale which measure up to 25 pounds by ounces. 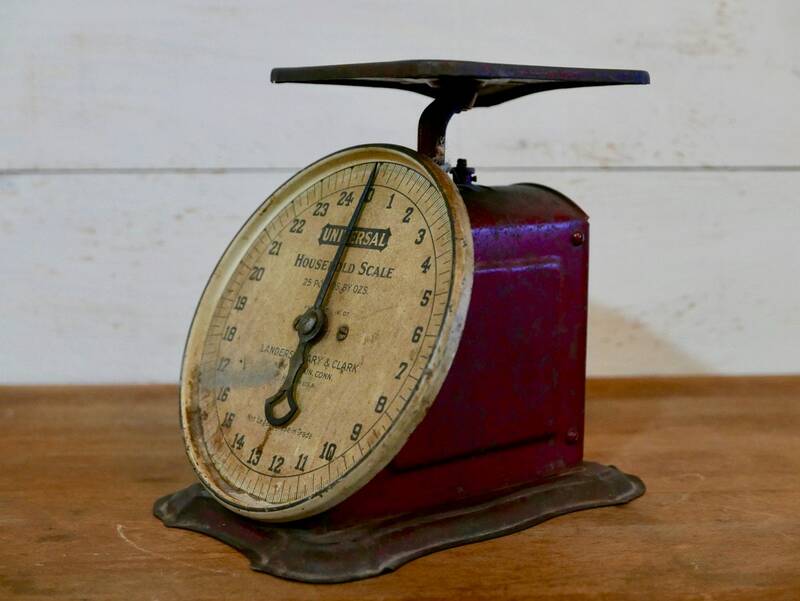 The scale is a deep red color and has a great patina from decades of use. 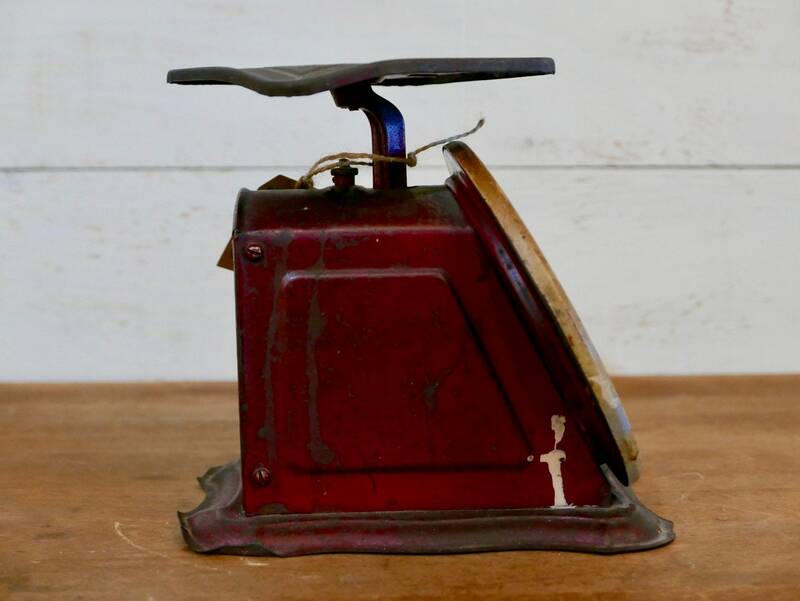 Best of all it works! 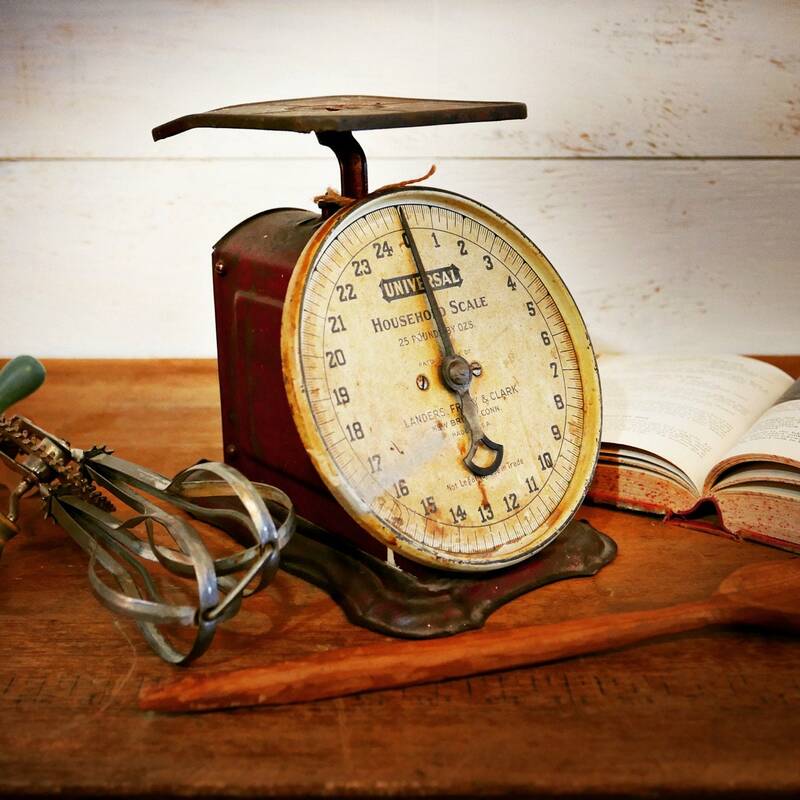 I tested it comparing it to my digital scale and it was very close, maybe an ounce and half off. Check all of the photos to see the condition. 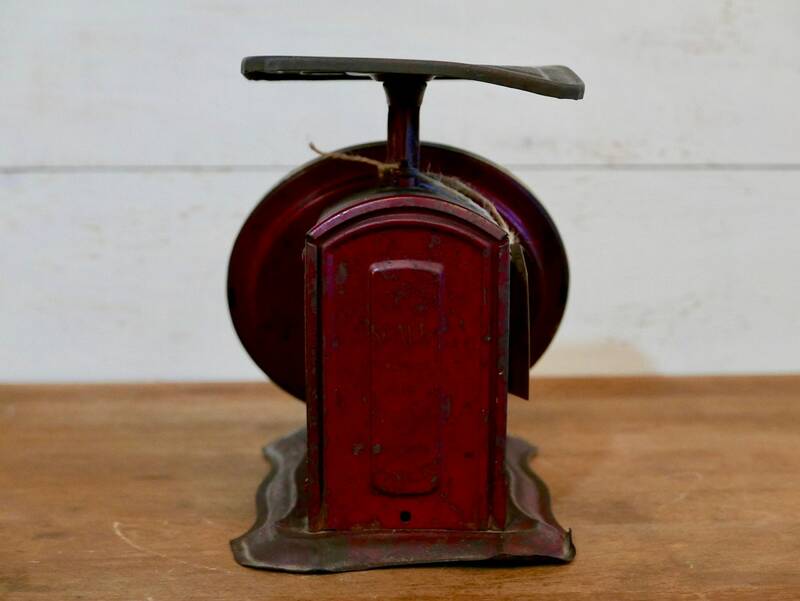 Size is 8" high, 7" wide, 9" deep.